Welcome to the ARCI website! 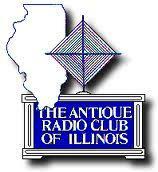 The Antique Radio Club of Illinois, is a nationwide family of over 500 people dedicated to the preservation of antique radios and related items. We have bi-monthly meetings and regularly draw collectors and enthusiasts from all over the Midwest. We meet six times per year offering seminars, swap meets and equipment contests. Our Spring, Winter and Fall meets are held at The American Legion hall in Carol Stream, IL. At our annual Radiofest, we sponsor seminars and displays on various topics related to restoration, historical presentations and helpful "how-tos" for Radiofest attendees. During the Summer months, we have two special meets in June and August each year. Our June meet is a combined meet with the amateur radio 6-Meter Club of Chicago and is held at the DuPage County Fairgrounds in Wheaton, IL. August brings our nationally renowned, two day event ... Radiofest ! From this list you will receive notifications of radios for sale, repairs or parts needed, and other information for our regular members. The meet will be outdoors with the option of moving inside if weather is bad. We'll have a 50/50 raffle. Donation auction and a buisness meeting following the auction.